The Nutrient Stewardship Council is proud to announce John Oster of Morral Companies, LLC as the recipient of the 2019 Distinguished Service Award. The award is presented to an individual who has provided outstanding service and commitment to the 4R Nutrient Stewardship Certification Program. 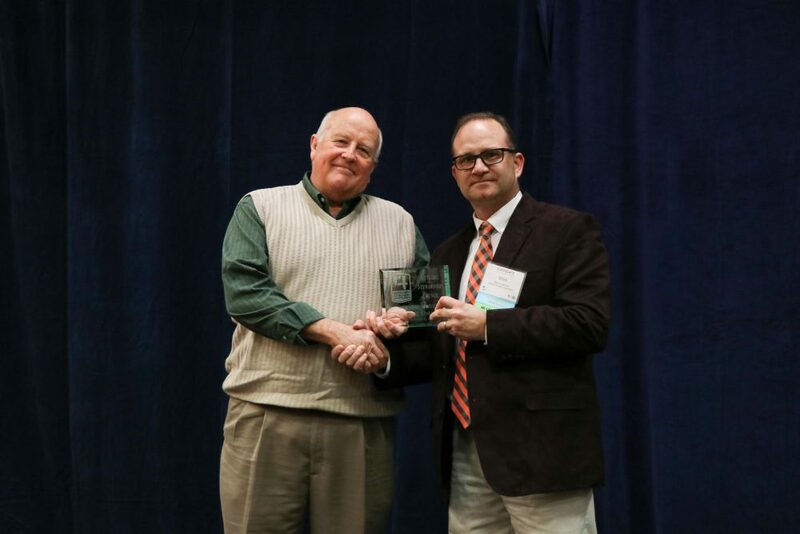 The award was presented to Oster on Jan. 31 during the Ohio Certified Crop Adviser annual meeting held at the 2019 Ohio AgriBusiness Association Industry Conference in Dublin, Ohio. Mark Sunderman, chairman of the Nutrient Stewardship Council, introduced Oster and presented the award. Oster was accompanied by his wife, Kay.